WordPress Blog Gay Pride Puerto Vallarta 2018—What You Need To Know! Gay Pride Puerto Vallarta 2018—What You Need To Know! It’s exciting enough booking your tickets to an international Pride but even more exciting this year as Gay Pride Puerto Vallarta 2018 falls during Restaurant Week and the 100th Anniversary of our great city—which is why this year’s Pride theme is “100 Reasons to Celebrate”. A city put on the map by Elizabeth Taylor herself after filming the 1964 movie Night of the Iguana, PV has much to offer. Here’s what you need to know! It’s up to you as there is no shortage of boutique hotels, LGBT-friendly resorts, and Airbnb’s in Zona Romantica (The Romantic Zone) which is the equivalent of a Chicago-esq Boystown. Amazing restaurants, shopping, and just 1 block from the beach. There are also some excellent resorts in nearby Conchas Chinas which is just a short cab or Uber ride away, but rethink staying in Nuevo Vallarta. While the resorts there are amazing, you will be pretty far from the action—unless that is what you prefer. 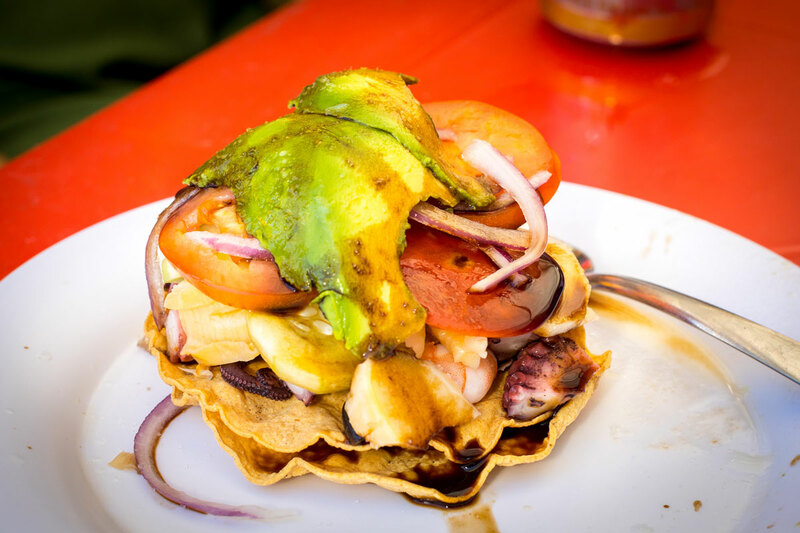 What To Do In Puerto Vallarta? Book an LGBT excursion. There are many to choose from. Take a taxi to Boca and hop on the water taxi to Yelapa. Or also from Boca, get a group and rent a Grumpy Old Men-esq boat (but bigger) for the day, just $10 to $20 USD per person for a drop-off and pick-up at one of the small nearby beaches. Do a guided or self-guided Art Walk, which is an official Pride event on May 23rd. Book an excursion at Bucket List-worthy Islas Marietas Island this is a full 8 hour day. Take a day trip, maybe to Tequila—the Champagne of Mexico, the only place where authentic tequila can be made. If you aren’t staying at a resort purchase a day pass to lounge at the pool of almost any resort or spend the day at the Mantamar Beach Club. 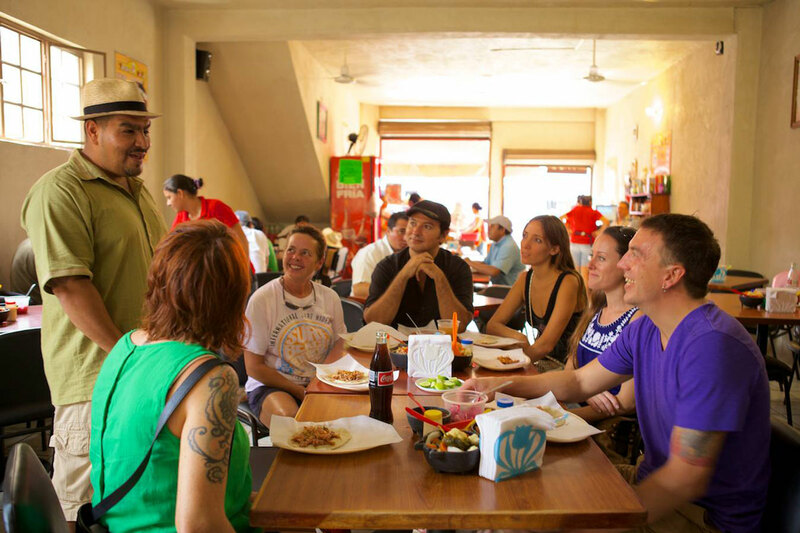 Book a guided food tour with Vallarta Food Tours. 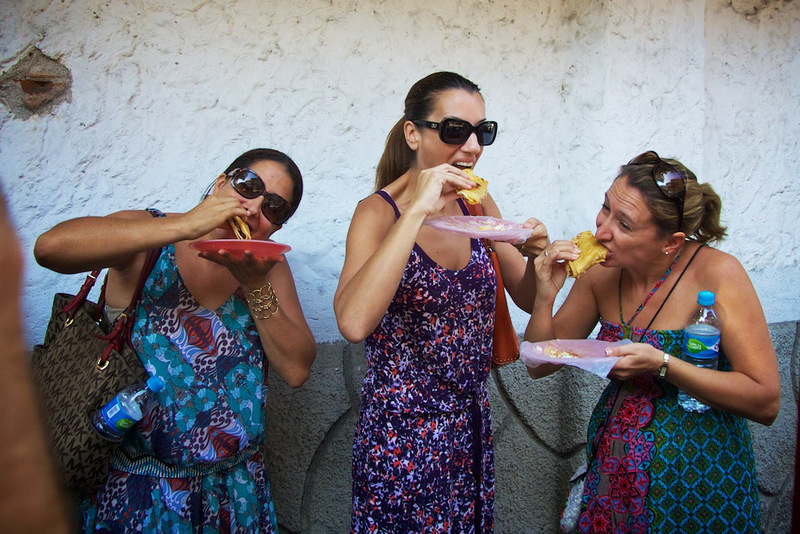 We are an LGBT-friendly tour company who offers tours of authentic Mexican cuisine. We’ll take you to the hidden gems you probably won’t find on your own. Our 3 hours tours can be done on foot, in a van, or on bicycles. 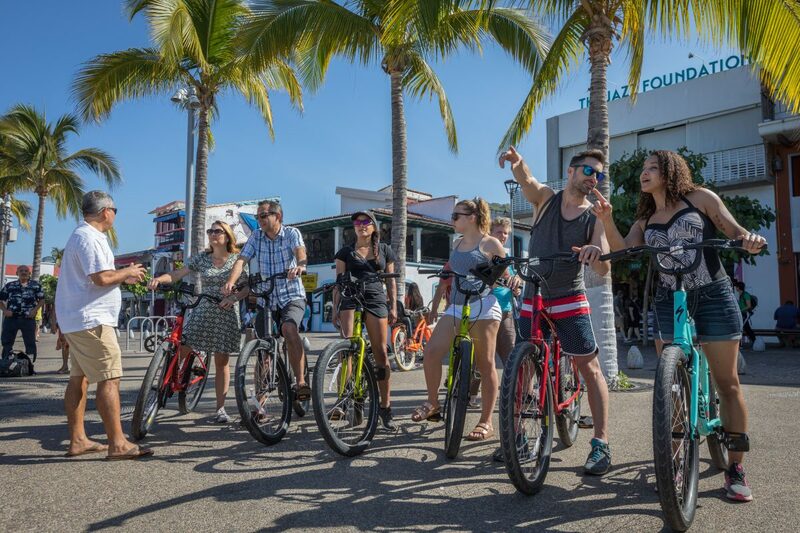 Check out our tour calendar, or book a private tour with a group of friends! How To Get Around? PV Has Uber! That’s right if you came to PV Pride last year there was no Uber—but this year there is! That being said, as in many tourist towns, taxi drivers have not embraced Uber. 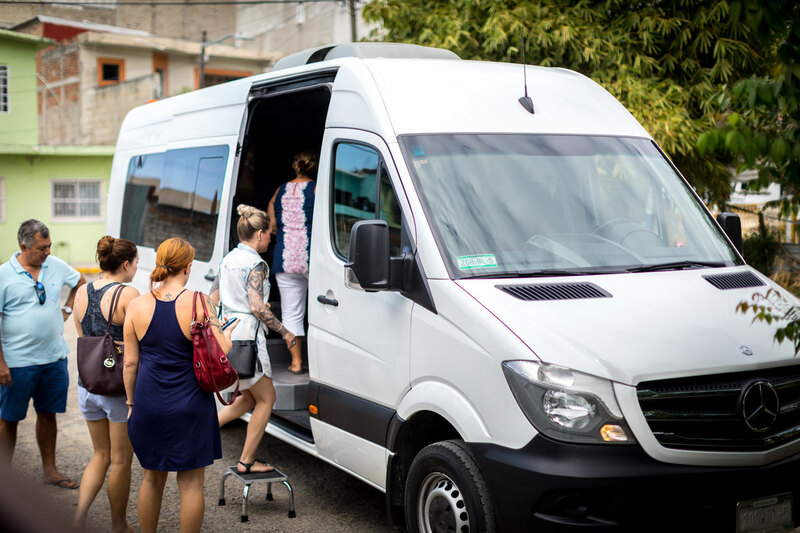 This has led to designated Uber “pickup spots” throughout downtown Vallarta. These pick-up spots are not always convenient. For example, your Uber may be 3 minutes away, but your pickup spot a 5-minute walk away. If you are at your hotel you should be fine—but when out and about a cab may be easier. And due to the taxi/Uber driver tension, there will not be an Uber sticker in the window so look for the license plate number instead. 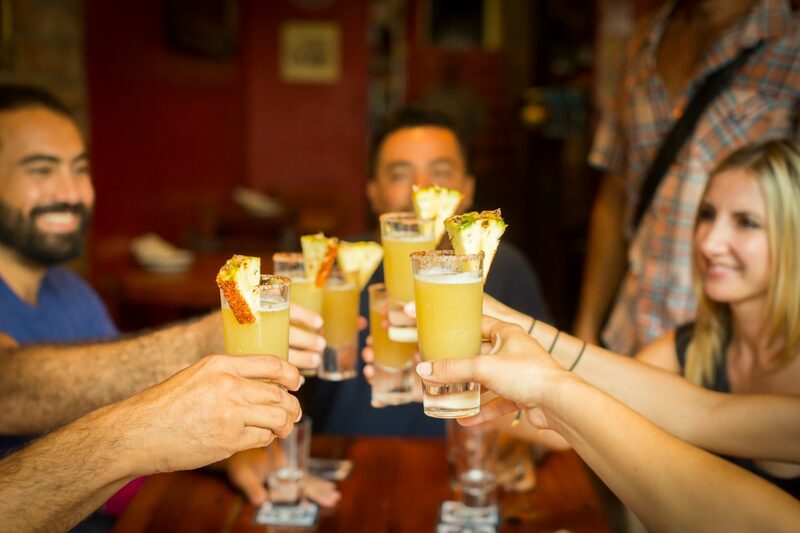 Before you hop in your cab, be sure to confirm the fare or you may arrive at your destination changed with a steep “gringo tax”. No need to rent a car in PV. Taxis and Ubers don’t need tips unless they have gone above and beyond—helped with your luggage, made an extra stop, or held your hair back when you’ve had too much to drink. 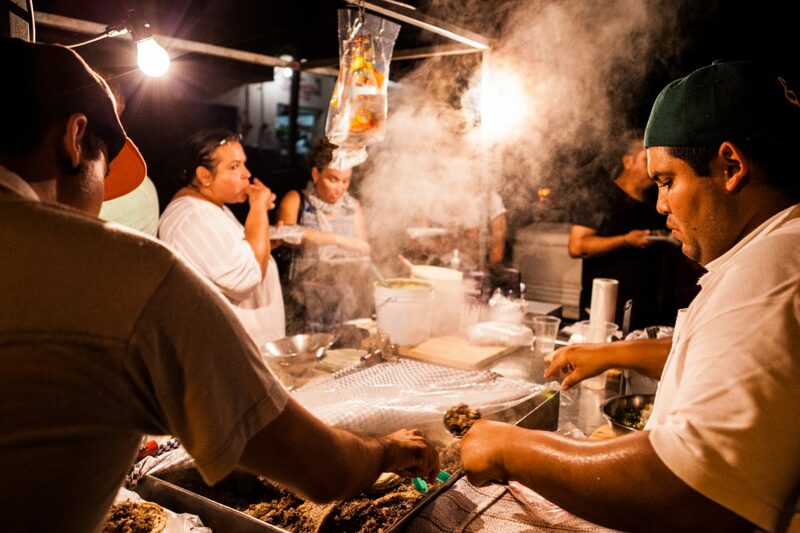 At casual dining local spots or street taco stands 10% is fine, but restaurants geared toward tourists 15 or 20 percent is expected. This guide will help with other tipping scenarios. Can I Drink The Water? PV has some of the most impressive plumbing and water treatment systems in Mexico but it’s wise to purchase your bottled water. In resorts and almost every restaurant, even the ice will be made from filtered or bottled water. When out and about there are convenience stores everywhere for when you need water on the go. I know, the last thing you want to do when hungover is eat—but aguachiles is the local hangover cure. Or fight fire with fire and order a Michelada, which is a Mexican Bloody Mary but made with beer. Can I Use My Phone? If you are from the US or Canada your phone is likely to work, but make sure you are clear on your international calling rates—or consider upgrading to an international plan for the time you will be here. If you don’t have an international plan learn how to turn off roaming while still accessing your Wi-Fi. Your hotel and most restaurants have Wi-Fi so download What’s App before you leave your home country so that you can call and message friends back home. You can also call and message on Facebook Messenger and Skype. 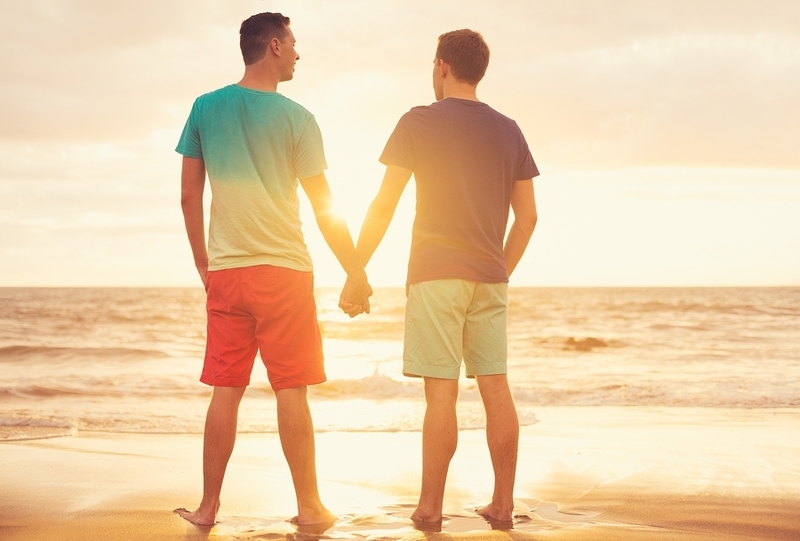 Is Puerto Vallarta LGBT Friendly? Tourism is the primary source of economic income and ongoing growth in Puerto Vallarta. 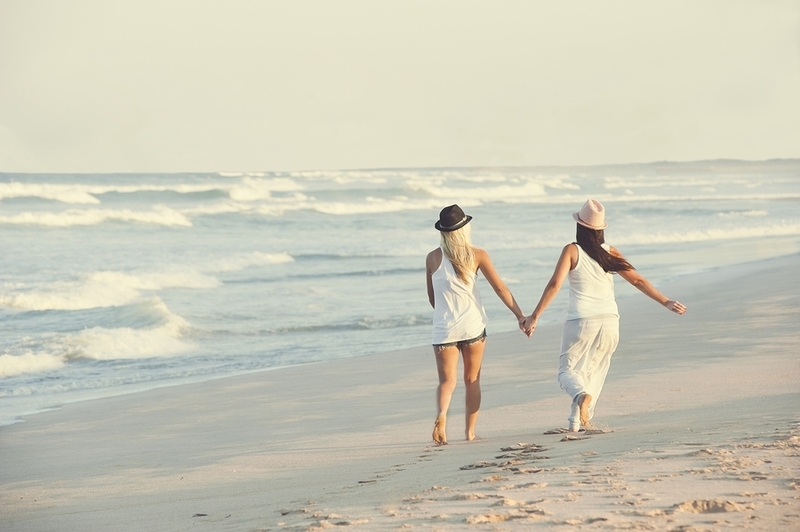 It’s a year-round international LGBT vacation destination, with a growing digital nomad presence, and PV is a popular place for US and Canadian residents to retire or snowbird. So, you will find a mix of everyone. The Romantic Zone (PS I’m from Chicago) is very much like any other LGBT-friendly big city neighborhood—but more vacation-centered. Will you run into the occasional ignorant local or tourists? Yes, just like anywhere in the world. But you can be out and proud in PV. One of the exciting things that gay tourism in Vallarta has created is an LGBT-haven for nationals. For gay Mexicans, Vallarta is an early San Francisco. For locals, it often begins with a vacation to see if it’s too good to be true, then a move to the city. Don’t see what you were looking for? Just ask! Shoot us a message on Facebook or call or email. People are talking about us! This was the best tour I have ever been on. The food was delicious and the drinks were amazing!!! Our guide Juri was the best!!! We will definitely take this tour and use this company again!!!! I would highly recommend this company for any type of local tours in Puerto Vallarta!! This was our second tour and it was even better than the first. Shawnee was very informative and the food was amazing. You really feel like you are going where the locals go and not to all of the tourists spots. Everything about the tour is authentic and a real pleasure! We had a great time on our food tour. Our guide Shawnee was Awesome!!!!! Very knowledgeable about everything, food, history etc. Would highly recommend this tour. Food was delicious!! his was the best tour I have ever been on. The food was delicious and the drinks were amazing!!! Our guide Juri was the best!!! We will definitely take this tour and use this company again!!!! I would highly recommend this company for any type of local tours in Puerto Vallarta! !